HERE WE HAVE ONE OF TRIUMPHS LOVELY MODERN CLASSICS. 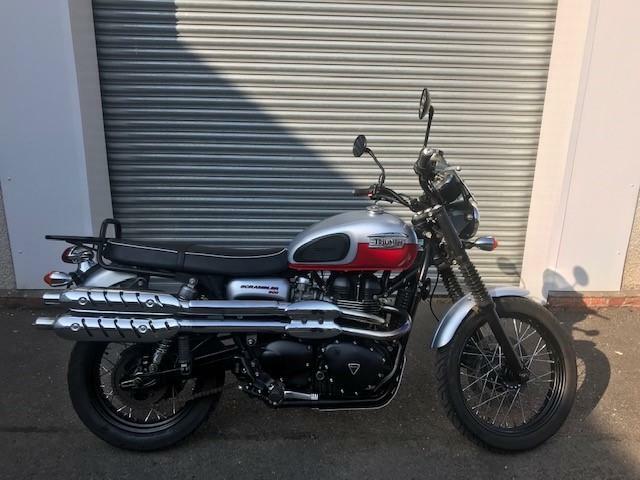 THE TRIUMPH BONNEVILLE SCRAMBLER WITH ITS 900CC TWIN. THE PERFECT UP RIGHT CRUISER! THIS BIKE WILL COME SERVICED, HEALTH CHECKED AND WARRANTIED FOR THREE MONTHS.